to become associated with our family and share in its mission. Blessed Sacrament Associates are lay Catholic women and men―single and married―who share in the charism of Saint Peter Julian Eymard by centering their lives on the presence of Christ in the Eucharist as lived and modeled by the Congregation of the Blessed Sacrament. Associates commit themselves to be disciples and apostles of the Eucharist, supporting each other through the sharing of prayer and faith in regular meetings. They participate fully in the liturgy of the Eucharist, in personal prayer in the presence of the Blessed Sacrament, and engage in a variety of ministries, to manifest the fruit of worship and prayer. Associates partner with the Congregation of the Blessed Sacrament in proclaiming the riches of God’s love in the Eucharist. After a period of formation and discernment, they make a public covenant with a promise to place the Paschal Mystery of Christ’s self-giving in the Eucharist at the center of their life. 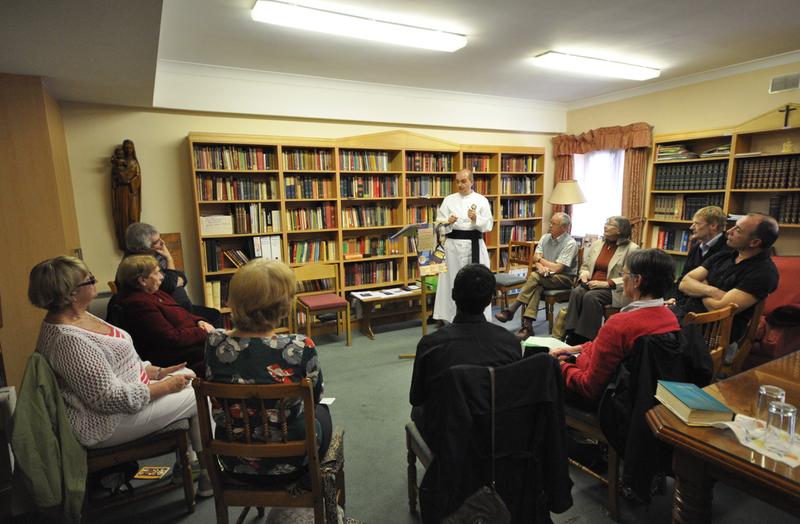 To grow as covenanted people, the associates gather often to pray together, encourage one another, and grow in their understanding of the Eucharist and its demands. Saint Peter Julian Eymard believed that it was essential to share the eucharistic charism of the two religious congregations he founded with the laity. In order to achieve this, he formed the Aggregation of the Blessed Sacrament, which was approved by Pope Pius IX in 1875.
and the glory of God may be revealed to the world. Books on St. Peter Julian are available online. Please visit our Book Shop. Mass offerings can be made online now. Please select the desired amount you wish to offer. We thank you very much. Please let us know of your prayer requests. We'll include them in our prayers.